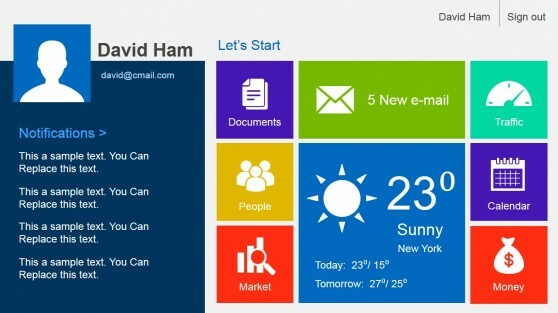 Metro UI tool kits can be really helpful to prepare presentations, computer dashboards or graphic design inspired by the Metro User Interface introduced by Microsoft in Windows 8. Metro UI toolkits can also be used to create an application dashboard, data dashboard or as part of a web design process in general. Here is a quick review for some of the best Metro-style UI toolkits that you can download either for free or based on a subscription. Metro Vibes UI Toolkit is a PSD template design for Photoshop that contains useful components with flat styles and following the Metro patterns. You can find useful graphic elements to make a presentation dashboard as well as getting inspired by some of the pre-designed components. It offers a fresh and modern design with clean styles by letting the user to get focus into the content and details. 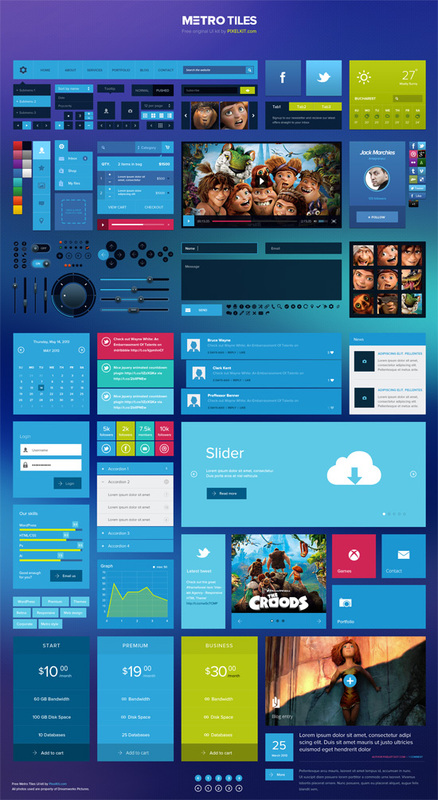 Go to Download Metro Vibes UI PSD Toolkit – facegfx. 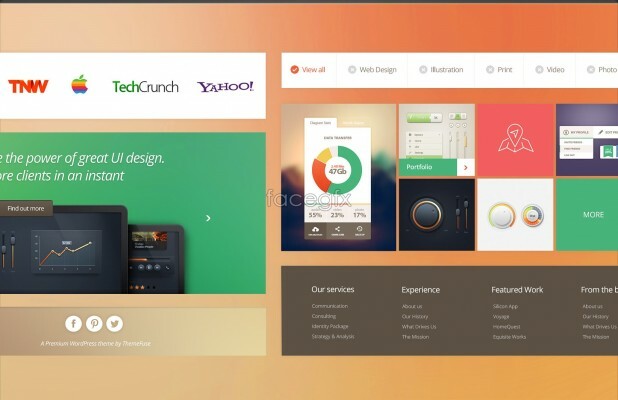 Metro tiles UI Toolkit is another great UI toolkit with metro styles that you can download for free to make a clean and fresh web design or presentation design. This tiles PSD template contains useful components that can help you to design a dashboard, mobile or web application using flat styles and Metro UI. It is a blue theme that contains metro chart designs, plans & pricing components, picture & video placeholders, UI components like sliders, notification boxes, avatar & profile components and useful UI controls. Metro Tiles UI Template for Photoshop is a complete kit containing user interface components with metro style. Go to Metro Tiles UI PSD Toolkit – facegfx. It contains nine unique slide designs inspired by Metro UI design that you can use to make a dashboard presentation or use it to make slides for application mockups. 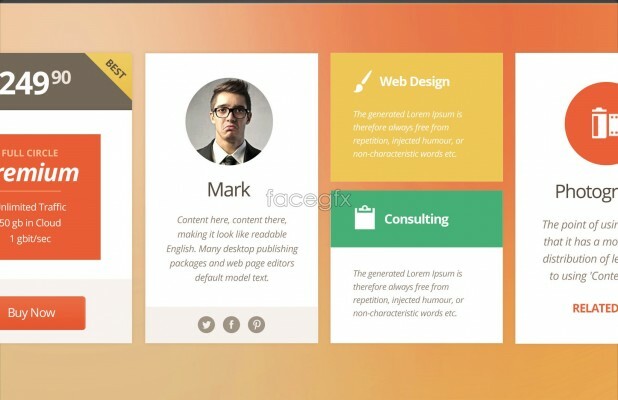 The Metro Style PowerPoint template dashboard contains dashboard components that you may find suitable to make a dashboard presentation in PowerPoint. Alternatively you can use the social media dashboard designs for PowerPoint or combine both to achieve a nice dashboard presentation with flat & Metro UI styles.